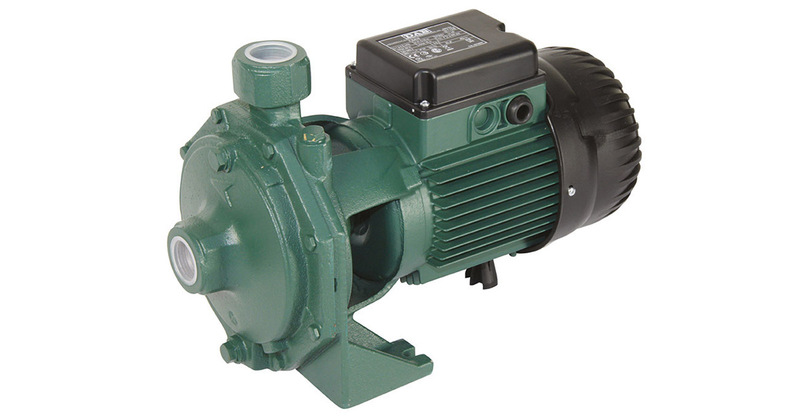 Twin-impeller centrifugal pump designed for the realisation of pressurization units in water systems and filling of pressure vessels. Suitable for sprinkler systems and other general water supply uses. Operating range: from 1,2 to 30 m3/h with head up to 97 metres. Maximum operating pressure: K 35/40, K 35/100, K 40/100 :6 bar (600 kPa). K 45/50, K 55/50 :8 bar (800 kPa). K 55/100, K 66/100 :10 bar (1000 kPa). K 90/100, K 70/300, K 80/300, K 70/400, K 80/400 :12 bar (1200 kPa). 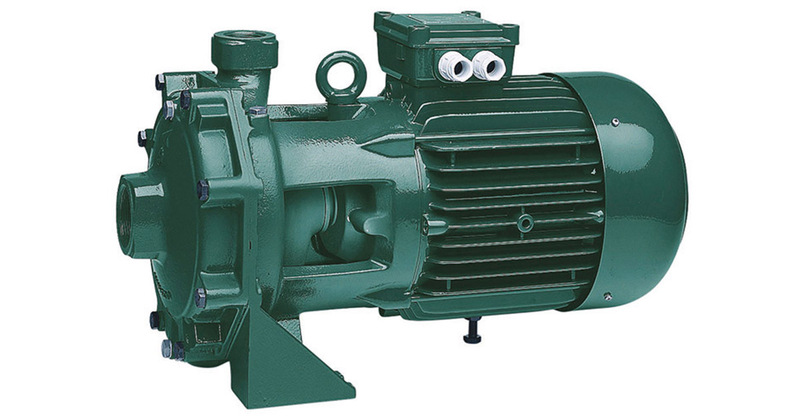 Installation: fixed, horizontal or vertical position, provided that the motor is always above the pump. Liquid temperature range: K 35/40, K 45/50, K 35/100, K 40/100, K 55/100: from -10 °C to +50 °C. K 55/50, K 66/100, K 90/100, K 70/300, K 80/300, K 70/400, K 80/400: from -15 °C to +110 °C.